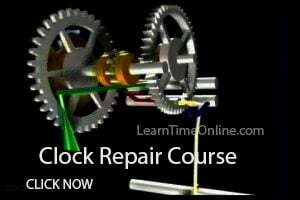 In his first three videos William Porter explained the theory involved in designing a cycloid clock gear cutter as well as showing us the tools he made that will be needed to make a final clock wheel cutter. In this video part 4 he takes us right into the set up process and then quickly machines the correct radius and flank profile for his clock gear cutter. Talking with William he explained that the actual fabricating of a clock wheel cutter from beginning to completion is much quicker and easier than it appears in the videos and once you have made a couple of them they can be machined, polished and heat treated within a couple of hours. Not bad at all considering the price of a new cutter when purchased. If you enjoyed this video please go to Williams YouTube channel at Fabricating multi tooth cycloidal cutters for clocks, Part 4 “Forming the cutter profile” and give him a thumbs up and maybe post a comment and definitely Subscribe to his channel as he has been putting a new video up every few days and they are all very informative. 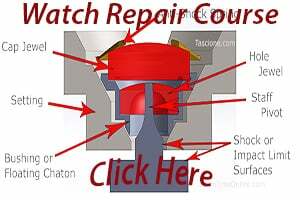 Get free info packed Clock and Watch Repair reports in your mailbox. Just opt-in using the Blue Box on the right side of this page. 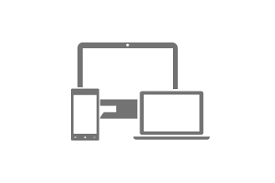 Your email Will NOT be given to anyone and you can opt-out anytime you wish.